Big TPT Back to School Sale – Tomorrow and Tuesday! Hi everyone! A quick reminder, not that you don’t already know, that the big TPT Back to School Sale will be going on Monday, August 3 and Tuesday, August 4. This is a great time to stock up on your back to school goodies. My entire store (Jordan Johnson) will be 28% off during the sale. Student Interviews, Goal Setting Sheets, Writing Prompts about Summer and the New School Year. Perfect for 1st or 2nd grade! Check it out in my store here. This would be perfect for writing activities or a writing station. 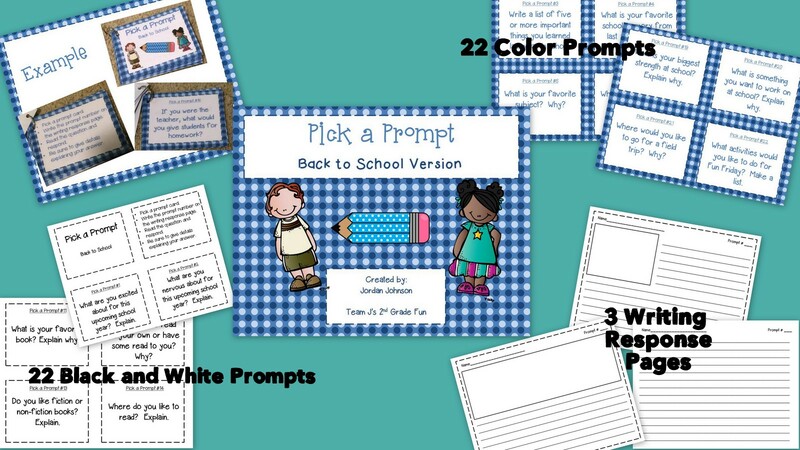 22 different prompts about school and back to school related topics. 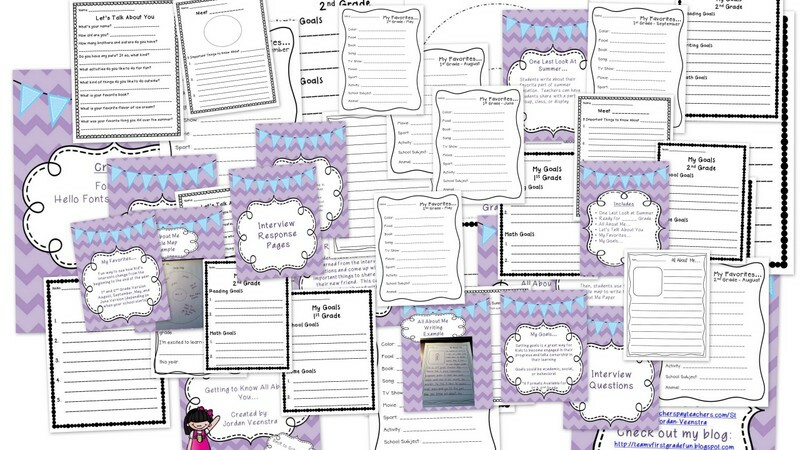 3 different writing response pages for students to use! Color copies provided as well as printer friendly copies. Check it out in my store here. Hope everyone finds many goodies at the sale! I know my cart is starting to get full with all of those wish list items I’ve been looking at all summer!